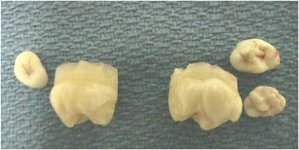 The patient is a 14 y.o.female referred for the extraction of multiple impacted teeth prior to orthodontic treatment. The patient had no known drug allergies, history of hospitalizations or operations. 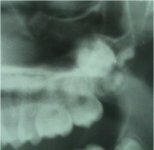 Oral examination revealed a Class II malocclusion. 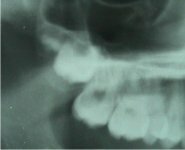 Panoramic radiographic findings revealed multiple impacted teeth.